The flower girl is perhaps the sweetest little wedding guest of them all, stealing hearts as she precedes the bride in her own miniature fairy-tale dress. What a perfect opportunity to create the perfect finishing touch, tying all the pieces of your wedding party together. How do you go about choosing her dress? Here are some helpful tips. Fabrics and colors for flower girl dresses vary greatly, consider the time of year. If yours is an autumn or winter wedding, rich fabrics such as velvet or velour are wonderful, not just for their beauty, but because they will keep the chills away. For a spring or summer wedding, lighter fabrics keep the flower girl from melting in the heat — and melting down. While tights are great for a cold weather wedding, they will be uncomfortably warm in the summer months (even though they look cute!). For footwear, choose a ballet slipper style in kid or patent leather; no high heels or styles that will be uncomfortable or difficult to walk in. *Always remember the comfort of your little guests- if they are uncomfortable, most likely you or your guests will be too. A flower girl’s dress should complement the bride’s. It can be white, or the same color as the bridesmaids dresses. If her dress is white, a colored floral accent may be used to tie it in with the bridesmaid dresses. See style 5166 and 5083. We can arrange for almost any color matching for just the right look! No matter how precious the flower girl looks, if her dress and shoes are uncomfortable, it will be reflected in her face and behavior. Scratchy dresses and tight shoes have been responsible for everything from fidgeting to temper tantrums over the years, so take this issue seriously. Love a sleeveless dress we have but need sleeves? See all of our wonderful jackets that can be used again and again for different looks with other outfits. The age of your flower girl is a factor when choosing the length of her dress. A small child may wind up tripping over a long skirt, so it’s best to choose a shorter style. Depending on whether your flower girl is three or eight, the styles may vary as well. A younger girl can wear a knee length “princess” style dress, while an older girl might prefer a more sophisticated silhouette, with more length. If you are having multiple flower girls of varying ages, you can link their dress styles using color, fabric and even the flowers they carry. Just think beforehand about any steps to go up or down, because little girls tend to not think about pulling their dress up- remember they are carrying your flower basket! Most all of the dresses we carry are tea-length style just for this very reason. One tip to remember is on a floor length gown, in order for it not to buckle in the front, a child must be standing perfectly straight. This might not look so great in your wedding photos. The fact is, the majority of brides choose the tea-length style, therefore, most all of the dresses we carry are tea-length. If you love the look of floor-length, we will be happy to direct you to the dresses that run longer than others. If money is an issue, any pretty party dress, provided it works with the bridesmaid’s dresses, will do. However, resist the urge to purchase a dress of cheap fabric – cheap fabrics have been known to be very itchy. If possible, spend a bit more for a better fabric, keeping in mind that the dress doesn’t have to be a “one-time” dress — it can be re-worn often, from a portrait sitting to a birthday. It can also be preserved and handed down as an heirloom once the child grows out of it. All of the dresses we offer are lined for the comfort of the child adding durability to withstand long-term usage. There are a lot of junk dresses out on the market, so be careful! The dresses that we sell have withstood 15 years of salability and thousands of weddings, so be assured that you will be amazed at the quality of what we are selling for the price! We don’t sell anything we wouldn’t put on our own children. Period! Follow the dressiness of the entire wedding party. For a formal black and white wedding, a white organza dress with a beautiful back or hand bead work to match the bride looks exquisite. If you are in question about which style to choose, please email us a picture of your bridal attire, and we will be happy to assist you. We design a lot of our dresses around current wedding dresses, so we can help direct you to the best choice. Choose fabrics that aren’t wrinkle prone, such as silk or velvet, for the best results. Also, wait until the very last possible minute to dress your flower girl. Her dress will be free from wrinkles, and you won’t have to worry about her wearing that glass of juice she’s going to demand just before the ceremony. Whatever the style you choose, avoid those that will make your flower girl look too sophisticated or “just like mommy.” This is an occasion when you want to play up her little girl charms. When else can she have the joy of wearing a princess dress, tiara and satin sashes? 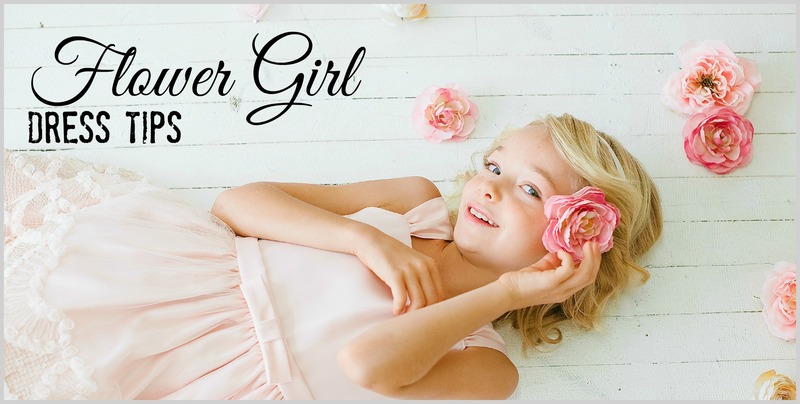 Perhaps this is why flower girl fashion has remained constant over the years — little girls love dressing up like little girls. About the Author: Negin S.
Digital marketing specialist, blogger and soccer mom.